Interview: Eye to eye with Niall Horan. When I first meet Niall Horan inside his ridiculously spacious dressing room at Auckland’s Spark Arena, a lone candle sits on a table, patiently waiting to be lit. A Spotify playlist containing nothing but Bruce Springsteen songs is playing softly in the background via Horan’s laptop, and he has various other items strewn across chairs and sofas - most notably, an All Blacks jersey (New Zealand’s national rugby team) hangs from a clothing rack, readying Horan for his first ever solo show in our country. Just a few hours later, Horan wears the jersey on-stage during a three-song encore, after performing an enthusiastic and heartfelt set to appreciative fans. Spend any time talking with the now 25-year-old Horan and two things are immediately apparent - how deeply he cares about his music, and how deeply he cares about the fans of his work. In return, Horan’s fans have shown nothing but immensely devoted support of his debut album, ‘Flicker’, at every one of the 100 shows he’s played across five continents. These performances have given fans the chance to witness the album in a live setting, where it truly comes to life, complete with custom lighting spelling out his initials, and vintage rugs that give his performance a cozy, living-room ambience. It’s the ‘Flicker’ tour, and demands from fans, that brought Horan down to New Zealand this June, which is where we meet to discuss a number of important matters, from his friend Ed Sheeran hanging out with New Zealand Prime Minister Jacinda Ardern, to the comfiness of Converse shoes, and the themes of his chart-topping solo record. Click here to order a CDM x Niall Horan zine (i.e. a mini-magazine featuring photos + quotes from this cover-story). But before we meet in Auckland, we connect on a phone call a month before Horan’s Australasian tour, where he talks about New Zealand with a surprisingly impressive memory, reminiscing almost immediately that, “2013 was the last time we were in New Zealand, so I'm looking forward to getting back.” Since he counts New Zealand sporting hero Dan Carter among his friends, it’s no wonder that our tiny country of 4 million people is a place of such familiarity to Horan, and a country that he says even reminds him of his homeland of Ireland. The rest of our initial conversation touches on other aspects of ‘Flicker’, which Horan talks about with an ardent passion - from the importance he placed on recording many of the songs in a fully live setting, to explaining his songwriting approach for particular songs on the album. 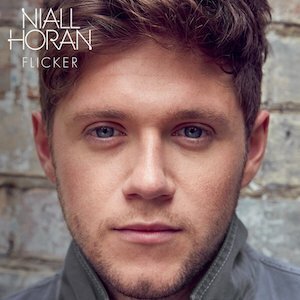 Horan wrote much of ‘Flicker’ from autobiographical experiences, from the title-track reflecting on a “a flicker of hope that you first gave to me,” to ‘Fire Away’, where he earnestly promises in the lyrics, “you don’t have to be afraid,” set atop a jazzy melody. The ten-track album (with three additional songs on the deluxe) sounds and feels like we're embarking on a personal journey with Horan, and it’s a journey that makes even more sense in a live setting, with his quips between songs enhancing the record’s anecdotal quality. It’s why his live cover of Bruce Springsteen’s ‘Dancing In The Dark’ makes sense when sandwiched between ‘You and Me’ and ‘Seeing Blind’. In the former, Horan declares, “I've got a young heart / And it's wild and free,” which feels not dissimilar to a lyric that a young Springsteen might’ve written. Accompanied by five touring musicians on-stage, the live Niall Horan experience pays homage to his musical heroes, golden-age heritage artists like The Eagles, Fleetwood Mac, and Crosby, Stills & Nash, whose distinctive sounds are reinterpreted by Horan and his band. “Thanks for making this little Irish fella’s dreams come true,” Horan thanked the audience at his Los Angeles show last month at the iconic Greek Theatre. This will have felt not unlike to a hometown show, as Horan lives just a twenty-minute drive from the venue. His Californian musical influence felt fitting for the outdoor theatre, surrounded by the tall native trees inside Griffith Park - and the show itself was just as captivating as his performance in Auckland two months prior. Before each show, some fans are granted access watch Horan’s soundcheck, followed by a Q&A. At the Auckland fan event, he again noted the similarities between New Zealand and Ireland, and took immense joy when a fan asked him about the next Rugby World Cup, a passion very close to his heart (in an interview with us in 2015, Horan incorrectly predicted that year's final would be New Zealand vs. Ireland). His Irish patriotism is reciprocated by fans at live shows, too, with the audience often lighting up as an Irish flag during ‘Flicker’ as part of a fan-organised project. It’s clear that Horan is the captain of his own ship, at the helm of a musical and creative vision that has come to life over the past year. And he’s equally as hands-on in how he looks after his fans. Barely a day goes by without a candid fan story making its way onto social media, where it is received with much delight - whether it’s him reacting to being told that the lyrics in ‘Since We’re Alone’ helped a fan have the courage to come out to his parents, or his advice to a girl struggling through her parents’ divorce (as she left the meet and greet he apparently reminded her, “Now you have two houses to live in!”), or even something as simple as Horan complimenting a fan’s freckles. Fans are the cornerstone of Horan’s heart, and whenever they’re brought up in conversation with him, you can tell that in an ideal world he’d sit and talk with them for hours - but wistfully, he holds up his iPhone subtly and pretends to video me, explaining it’s something he’s hyper-aware of when meeting people, and makes him more cautious in these always-documented encounters. Towards the end of our interview, talk turns to Horan’s opening act, Maren Morris, who requested me to ask Horan about his skincare regime after I interviewed her a few hours prior. Horan darts excitedly over to his dressing room's bathroom, where he picks up bottles that are immaculately laid out by the sink, and recites the product brands and titles aloud to me. The ordinariness of this moment recalled a conversation I had earlier with Morris about the humanity of celebrity. She spoke to me about her song ‘Second Wind’, and society’s celebrity culture where musicians are placed on pedestals: “We idolise these human beings that are just that - human beings.” It was a sentiment echoed by Horan when we discussed the same topic: “Famous people have always been seen as completely untouchable." And while this may be so, Horan’s (and Morris’, whose friendship has amusingly been nicknamed ‘Moron’) unassuming personalities make them feel less like celebrities, and more like warm-hearted strangers you’d meet on a night out at a pub. With the ‘Flicker World Tour’ having come to a close, Horan will likely return to his Los Angeles home to work on his upcoming sophomore album. While some celebrities use their wealth to splash out on expensive cars, or Silicon Valley investments, Horan recently purchased a brand new guitar, a 1960 Gibson 125 (in addition to his 1961 Gibson ES-335, which came with a USD$20,000 price tag), on which he’ll likely begin work on a second album. With a whole year of touring and new experiences under his belt, as well as a desire to write about experiences outside of his own life, Horan has every opportunity to create another musical hole-in-one to rival his first. As I leave Horan’s dressing room, he follows me out, on his way to soundcheck a duet performance of ‘Seeing Blind’ with Morris for the first time before their tour together begins, and while picking up a bottle of water on his way, he accidentally drops it to the ground, where it rolls for a moment, and he laughs. At any given moment, there are tens of millions of fans across the world wondering what Horan is doing, with their social media profiles and mobiles set to alert them of any real-time updates when they happen, as they happen - their imaginations running wild, and to faraway places. The reality is that Horan might be noodling on a guitar, lighting a candle in his dressing room, listening to a Spotify playlist, picking up a dropped water bottle, or chatting with friends at a pub. But most likely, he’s out there in the world doing his best to live an honest life - just like you, and just like me. COUP DE MAIN: Your soundcheck with fans earlier was great! You mentioned that although you've been to New Zealand before, you have never had a chance to properly explore Auckland. Is that one of the challenges of touring at this level of commercial success? NIALL HORAN: Yeah, that was the case for all of the One Direction years. It’s gotten a lot easier now to have a proper look around - there’s less people outside hotels, I like it better that way, it gives me a chance to actually see the places that I’m going to. CDM: Rather than just a hotel room? NIALL: That’s what it was like. I was talking to our tour manager and security about it earlier - it’s kind of sad. As fun as it was going to all these places, to go and do shows, it was kind of sad we never got to see any of it. Especially when you hear so much-- actually, New Zealand is the one that annoys me the most, no joke, you hear so many great things about people going travelling through it, especially from where we live, because it’s so far away if you’re going to travel that far, you want to see it! It’s even annoyed me more because I hear Ed [Sheeran] talk about it all the time. CDM: He basically lives in New Zealand. NIALL: I spoke to him about it the other day, and he was telling me he was at the Prime Minister’s house. I was like, "That is such a ‘you’ thing to do." And he loved it when he came on his holiday here a couple of years ago, when he turned off his phone and no-one could get in touch with him. CDM: Your album's title track 'Flicker' is really sad, but there's optimism in the line, "Still a flicker of hope that you first gave to me." Do you consider yourself to be a glass-half-full or a glass-half-empty kind of person? NIALL: Good question. Definitely full, I think. You have to be. I don’t like people that are negative, it pisses me off. CDM: I think ‘Since We’re Alone’ is my favourite song on ‘Flicker’. It has such a beautiful sentiment to it, especially the lines: “Why would you wanna play someone else / I love you best when you're just yourself.” Do you think it’s an important message to share in a day and age where so often people feel like they need to hide who they are underneath a veil of social media? NIALL: 110%! That was probably a third of the reason why I wrote a line like that. Yeah I've had it in relationships where they're fine with me and then they go and are around other people and were a completely different person, which I found very strange. But yeah, there are people doing that under the veil of social media, as you say, and feel like they have to make friends by being someone else, which should definitely not be the thing. You have to be yourself 100% of the time. CDM: You’ve said that most of ‘Flicker’ was recorded live and that it was really important to you to do that, and it really comes through on the album. Did it add a layer of difficulty though, recording that way? Obviously normally people record every instrument alone to make it sound perfect. NIALL: It definitely takes longer, there's no doubt about that, but I prefer it that way. I'd rather it sound as live as you can get it without it sounding like it's a gig. It was very important to me to do that, and the band who played on it were phenomenal and it was just really cool. It was like playing at a gig but just recording it into the computer or whatever and onto an unbelievable desk. It was just a really interesting experience and something that I'd never done before and something that probably doesn't happen a lot in music anymore, but, it should happen. It's great and it's a really cool thing to be able to do. CDM: In 'You and Me' you sing, "I lead a selfish life / 'Cause that's what I need," which is a really interesting sentiment. What was running through your mind while writing that? NIALL: At the time, I was seeing this person for a long time, and it’s kind of because of my job, that was probably the reason that it finished. I was 17 to 20-years-old, travelling the world... you are selfish, you’re just worried about what 17 to 18-year-old lads get up to, and you do live a selfish life without even knowing. I’d say I was a little bit less selfish now, but without even knowing it, 17 to 18-year-olds are selfish people - [thinking] the whole world revolves around you, and you forget about the other person. CDM: It’s good that you can look back retrospectively and be critical about yourself. NIALL: You have to! There’s so much happening! Even in the last three years, I’ve noticed such a difference in myself. It’s mad what [can happen between] 20 to 24. CDM: In ‘Fire Away’ and ‘Mirrors’, you refer to a “fake smile” and a character hiding behind a face nobody knows. What draws you to these kinds of ideas for songwriting? NIALL: A lot of it was personal experience, especially in 'Fire Away'. And in 'Mirrors' it was kind of like what we were talking about, having to try and make friends and not being happy within yourself. It wasn't a personal experience of mine, it was something that I'd made up, but I know it resonates with a lot of young girls out there and just people in general that are struggling with that kind of thing - you go back to your room, and you're hiding yourself from the world because you don't want them to see the real you, which again, shouldn't be the case. It was just a line that came to me, and in my head it's a very picture-driven song. You can literally picture everything that's being said and you can visualise exactly what's going on. Like in the opening verse there's a girl going up the stairs and into her room and hiding in her room - it's kind of a little bit dark, but that's the way I visualise it. CDM: It's interesting that when you're writing these lyrics, you can visualise the world in which they live. NIALL: You kind of take yourself to... if you don't have an experience yourself, you have to take it back to movies that you've seen, or whatever. But just someone going into their room, slamming their door, and being unhappy about something, that's the kind of visual aspect I went to. CDM: As you mentioned, you wrote ‘Mirrors’ not about your own personal experience, but I did read the story about how you were inspired by a girl in Pret a Manger who looked a bit upset and lonely - do you often find songwriting ideas sparking from things you observe around you? NIALL: Yeah, 100%. I think my next album will be more of that actually. Because a lot of this album was driven from personal experiences and heartache and stuff like that. But I don't have that at the moment, so I think a lot more will just be going out and writing songs, and trying to write good songs, instead of being stuck on one particular concept. The album kind of turned out to be a concept album because it was about one particular thing, so I do think that the next time will be a little bit different. And what gave me that idea was, I heard Sam Smith, who's a good friend of mine, I heard him saying in an interview he did recently that he feels weird singing these songs now that are on this album because he's not heartbroken anymore. He's singing about stuff that makes him sad, but he's not sad anymore, so he does find it funny. And that kind of resonated with me. Now I'm thinking I just want to write songs, and not write about something in particular. CDM: In 'Seeing Blind', you and Maren Morris start off the song by singing: "I have seen, seen it all in paper dreams / Watched it unfold on the screen / But I never understood." Do you think the experience of first-hand love is incomparable to experiencing second-hand love through somebody else's eyes in either a book or on-screen in a film or TV show? NIALL: Oh yes, 100%. I heard an analogy from someone that I know and it helped me write this song. You see it on TV and you have this perception of someone or whatever, and perception, I think, is a horrible thing. Especially for how it looks... you have to be able to see someone first-hand, and be with someone first-hand, for it to ever make any sense. That's where it came from, but it definitely is incomparable. CDM: Why do you think that so often people’s perceptions of a person differ to how they actually are? Do you think that we create an idealised version of how we want someone to exist in real life? CDM: Do you believe in love at first sight? NIALL: I’ve had it, yeah definitely. This album is basically based on that. I didn’t, and then it happened. CDM: Is love is at its strongest when you grow to love someone like in 'Seeing Blind'? Or do you just kinda know straight away? NIALL: ‘Seeing Blind’ is kind of like, 'What you see on TV.' Growing to love someone is more fun, I think, because you don’t know everything about that person at first. It’s good if you feel like that straight away, but it’s also good to spend time working on it. I like to use the phrase “knocking the corners off it,” trying to ‘sphere’ everything out and smooth it all out - getting the rough edges out of the way. CDM: I was reading some fan stories about their interactions with you during meet and greets, and lots of them mentioned you complimenting people’s outfits and style, which is so cute! Troye Sivan once told us that during meet and greets he tries "to make this moment as special as it possibly can, and try and actually connect with the people," and compliments people to help keep him in the present. Is that also what you do? What’s running through your mind when you’re meeting so many people in such a short time span? NIALL: Sometimes they don’t say anything, because they just get flustered and run away. So if they don’t say anything, I feel like if I say something like that - but, I mean, I’m not gonna say you have great shoes if you don’t have great shoes, you know what I mean? The compliment is genuine. But I say something so they have something to take away, you know what I mean? Troye is right. CDM: He mentioned that it can be easy for your eyes to glaze over and to do the same thing for every person. CDM: You have to help 'em. NIALL: Yeah, and obviously we don’t have 25 hours to do a meet and greet, so you have to make the 10 seconds or so last, and make it as good as possible. CDM: With that in mind, it’s hard to spend quality time with fans. Is it nice to be able to have that face to face Q&A time during the soundchecks? NIALL: Oh yeah. I wish phones did not exist, because they’re a ruination of everything personal these days. Even when you go to talk to some people, it’s one of these <Niall holds his phone up and pretends to be filming>, and the phone is clearly on video-mode. I would love nothing more than to just sit and chat to loads of them, but you’re always worried about maybe saying the wrong thing because everyone’s videoing. CDM: It complicates it as well with it being almost like a competition online with fans. NIALL: Exactly, and there’s no need for it at all. They’re forever fighting with each other for no reason. I understand the whole psychological side of it, but don’t video, let’s have a chat. CDM: Let Niall compliment your outfit! NIALL: Let me talk about your shoes! You’ve got great shoes actually. Are they Converse? CDM: Yeah, they're Converse One Stars. CDM: And lastly, we interviewed Maren Morris earlier today and she had the following question for you: What’s your hair and skin regimen? She said that you’ve "really got it down pat". NIALL: <laughs> Let me get all the bits and pieces... For my skin, I use Tata Harper Regenerating Cleanser and some sort of moisturiser from Sarah Chapman. I also use Redken Volumising Spray. CDM: Maybe Maren will now go buy all of these products so she can look like you. 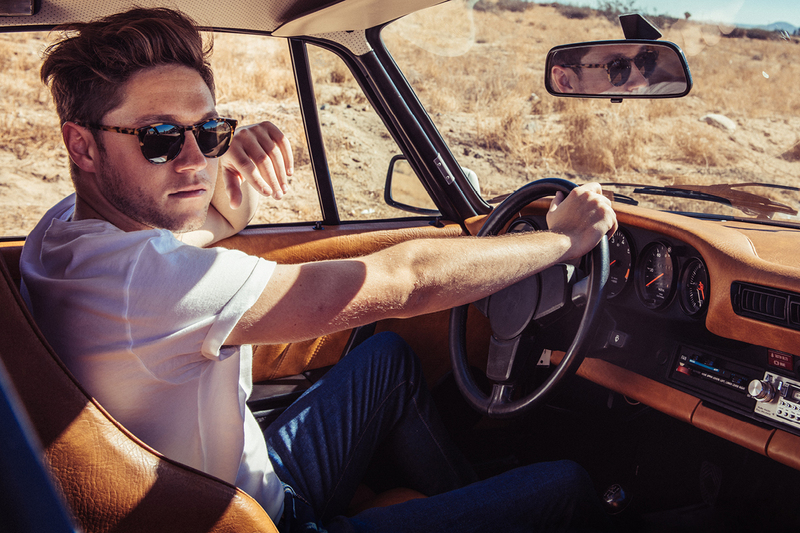 MusicWin: Niall Horan soundcheck ticket packages! MusicReview: Niall Horan - Spark Arena, June 2018. MusicWatch: Niall Horan performs 'This Town' and 'Slow Hands' live for Elvis Duran.